This year, the English Department organized thirty hours of school-based staff development for all English teachers from18th May to 11th June. 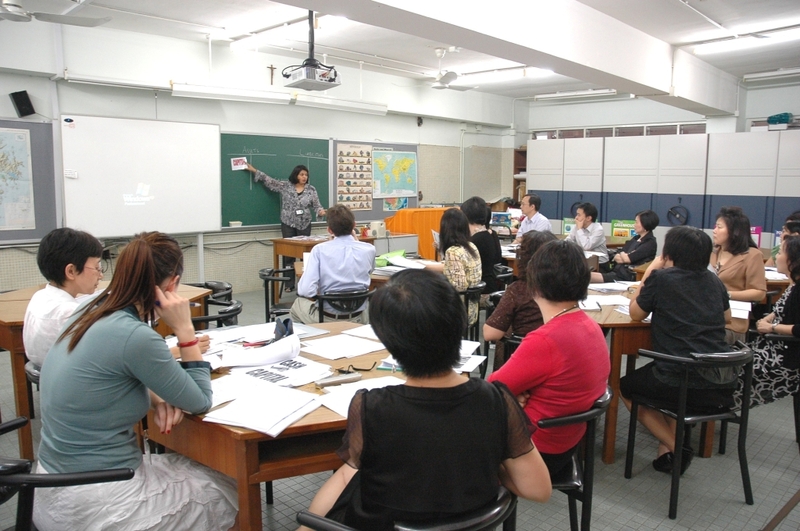 The programme covered three areas; Teaching English through Film, Teaching English through Debating and Teaching English through Social Issues.These workshops were not only inspiring but also prepared the teachers for the launch of the NSS English Language Elective Modules next year.The workshops were run by Mr. Gary Harfitt, Ms. Carrie Li and Ms. Cherie Chan respectively. All three of them shared their expertise in each of the workshops and had the teachers collaborating and creating school based materials.The English department at SPCS is now ready to meet the challenges of the NSS with confidence, creativity and competence. 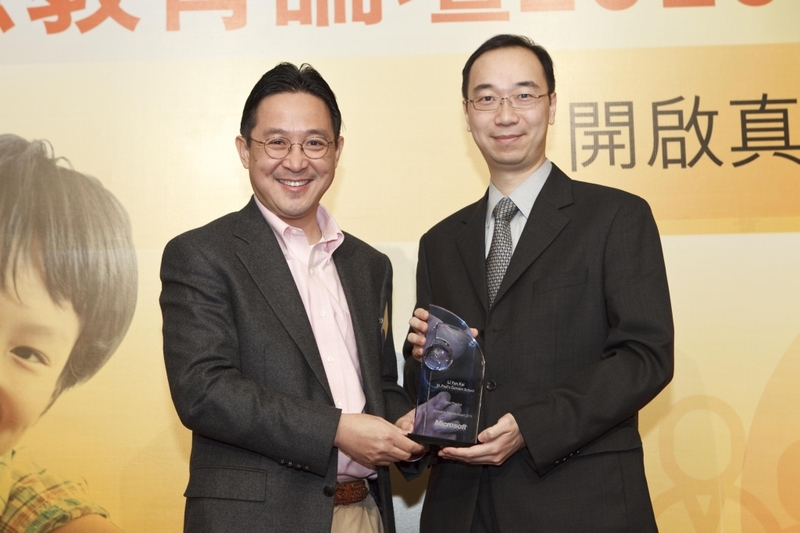 On 17th April 2010, our teacher, Mr. Roy Li, represents the school to receive the Microsoft Innovative Teacher Award 2010. 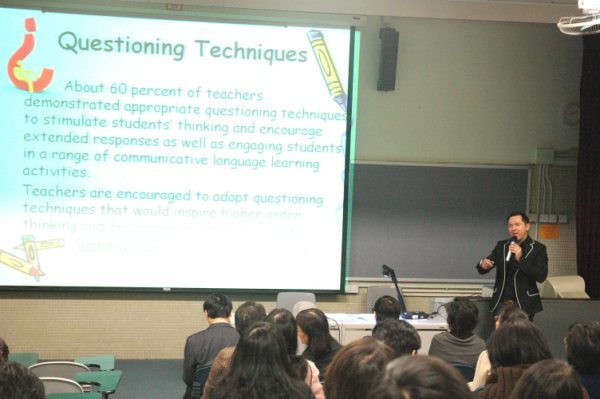 In the event teachers from Hong Kong shared the most creative teaching methods by demonstrating different digital means of teaching. It aims at paying tribute to practitioners for their contributions and breakthroughs in I.T. teaching. On the 8th-9th December 2009 we had a two-day staff development programme in Rm G7. The programme focused on updating teachers’ information on the recent development of the school. On the second day some panel heads shared with teachers good practices in teaching. Most teachers found that the programme has helped them become more reflective in teaching and more prepared for the comprehensive review. 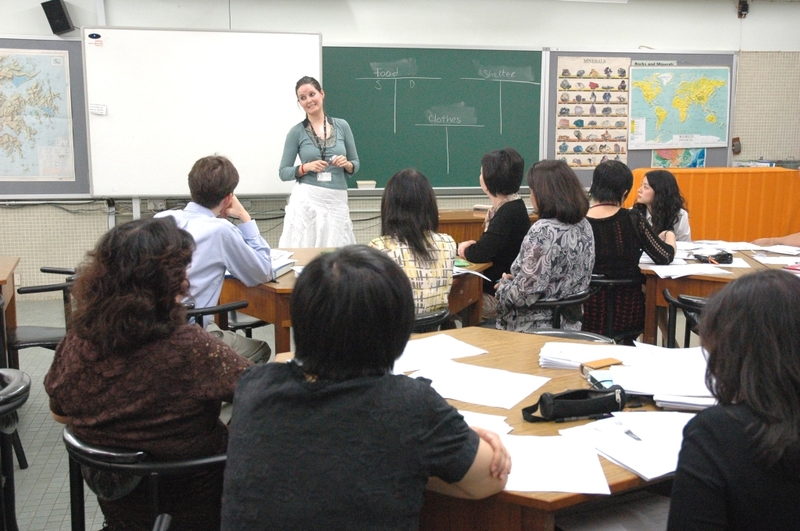 On the 31st October 2009, the PDS team organized a workshop for teachers from the partner schools. Other than the Moodle System, mobile learning through the iPod was also introduced. 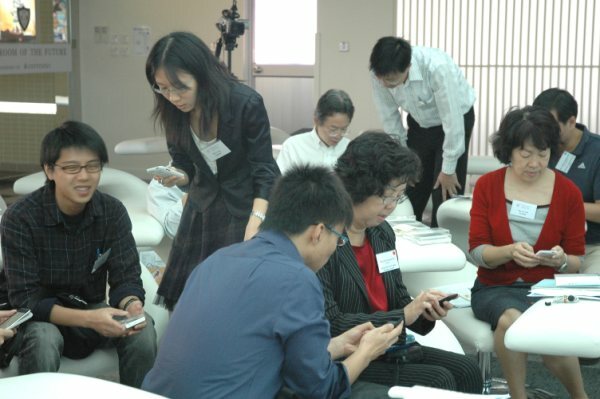 Teachers have shown great interest in applying mobile technology to enhance teaching and teaching. On 7th October, 2009 teachers teaching Humanities subjects gathered again in Rm 411 to share with other colleagues various teaching strategies that they use in class. 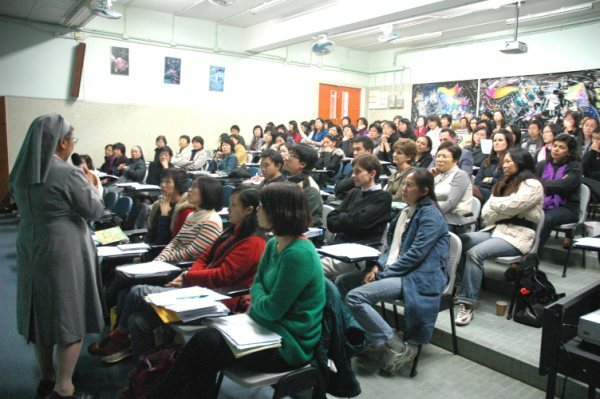 This gave teachers an opportunity to enrich their repertoire in teaching. 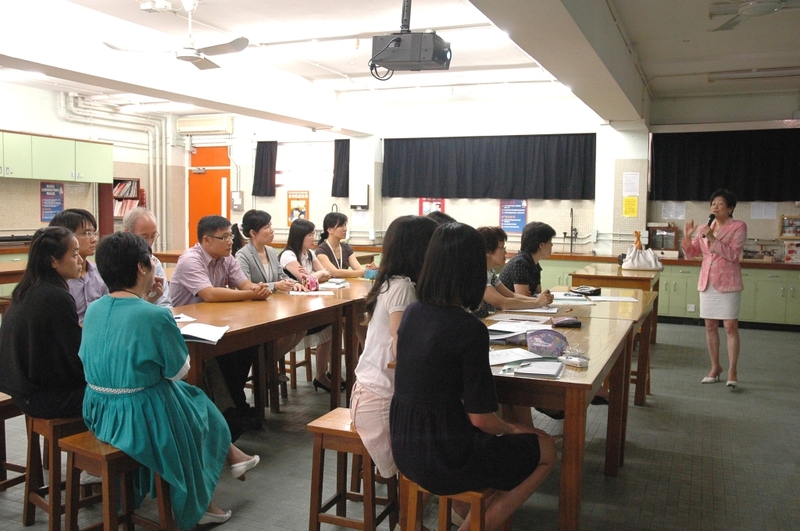 Meanwhile some science teachers joined a talk on class observation and teaching strategies conducted by Mrs. Diana Wong in the Physics Laboratory. 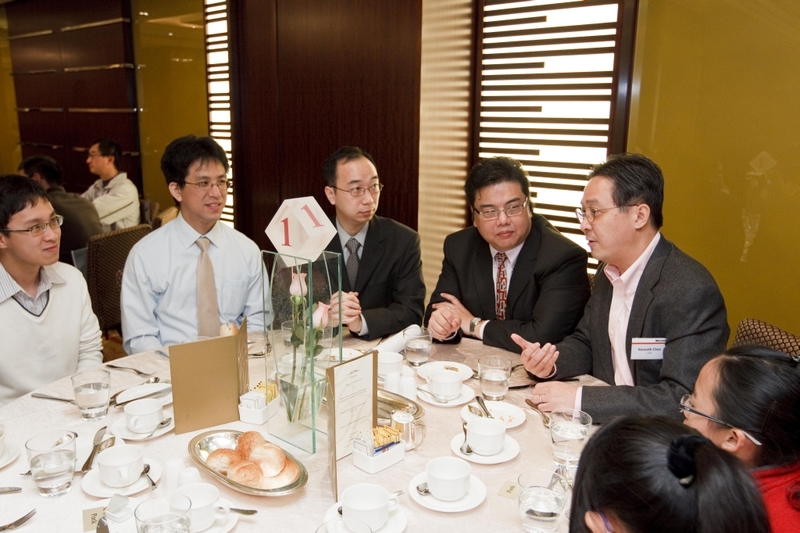 A one-day silent retreat, organized by the World Community of Christian Meditation, was held on 13th September, 2009 at the Lee Ka Shing Faculty of Medicine of the University of Hong Kong. Father Lawrence Freeman gave two talks on Christian meditation, which was followed by two meditation sessions. Over 30 teachers and students of our school attended the silent retreat. During the lunch break, Father Lawrence Freeman shared his experience in teaching children to meditate. Both the teachers and students learned a lot about Christian meditation from the function which enriched both our spiritual and physical life. Two of our teachers participated in an exchange session on "National Education : Aerospace Model Building" (國情教育:航天模型製作) with officials of Education Department of Shenzhen Youth (深圳青少年中心教育部) in Shenzhen on 12 September 2009. The programme focused on using effective ways to launch National and General Science Education (國情及科普教育) for youth and sharing experiences on leading students to the National Aerospace Model Building Competition. 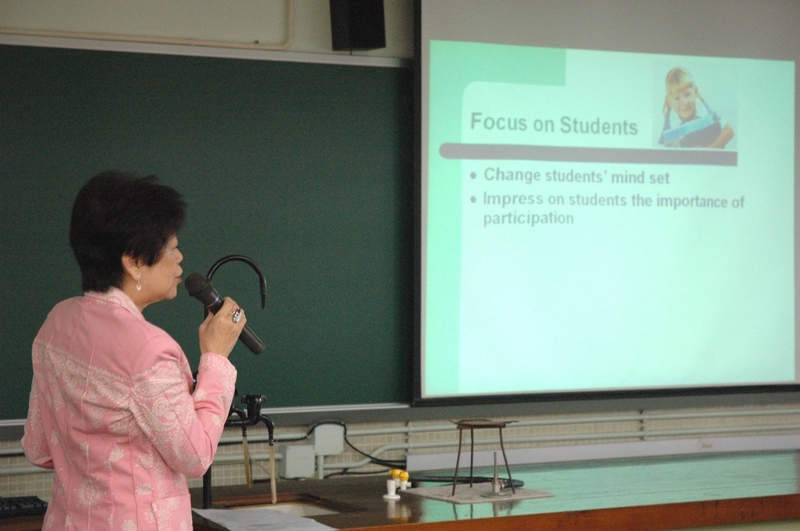 Mrs Rosalind Chan, our Curriculum Development co-ordinator, conducted a seminar on 10 September 2009 to our humanities and technology teachers on the changing roles of teachers and how to focus our teaching in student-centred learning. We were all enriched with some new pedagogy and had a fruitful afternoon. Our new teachers attended the New Teacher Induction Programme on the 26th August 2009. The programme has helped them know more about our school in all aspects.